MAN Cats T200 is a replacement for an outdated MAN Cats II, the main distinguishing feature is the support of the CAN protocol, which was implemented into all commercial MAN trucks at 2010. Supported ECU: EBS and ESP, electronic brake systems (EBS), electronically controlled air suspension (ECAS), engine regulation (EDC), retarder, gearbox, air-conditioning systems, central computer, instrumentation, door module, airbag, common rail, denox (Adblue) and more. 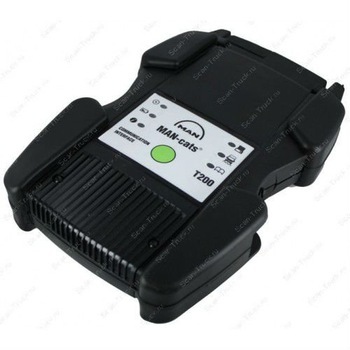 MAN Cats T200 truck diagnostic kit included T200 Vehicle Communication Interface, OBD2 Main Cable, OBD2 Adapter Cable, USB Cable. Optional: prepared and configured laptop for use MAN Cats T200 diagnostic tool with "DEV Access". 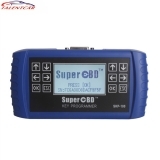 With developer access you can unlock special features such as FFR-EDC pairing, convert VDF to UDF, IMMO pin codes for key learning, ECU part number changing, ECU VIN number changing, ECU new / used programming.